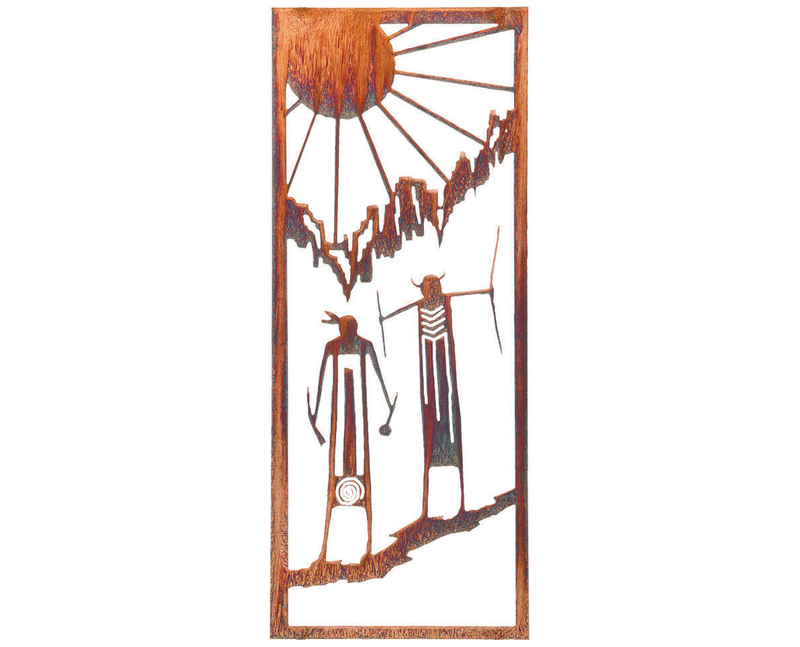 This beautifully crafted and artfully styled work of art is ideal for hanging on even the narrowest wall space! 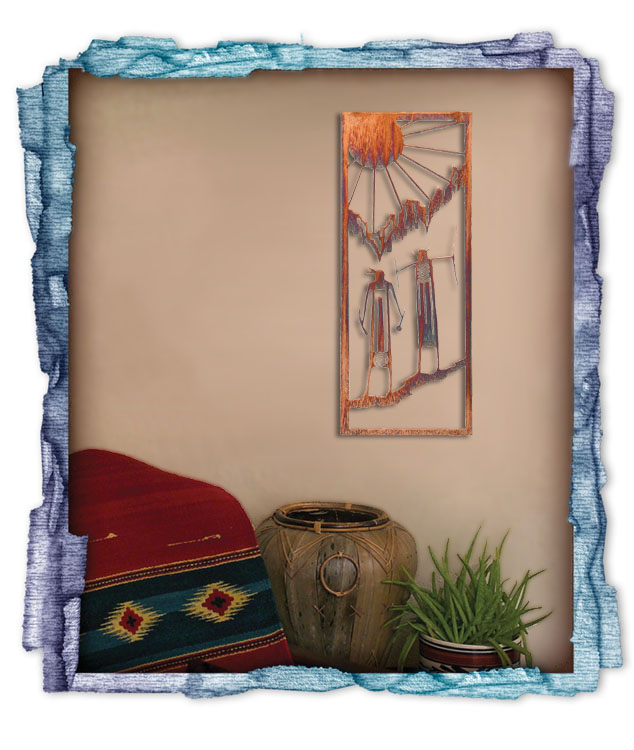 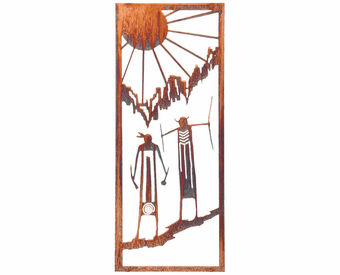 The Tribal Wisdom Handmade Metal Wall Hanging depicts two ancient wise men, delegated by the tribe to make decisions beneath the backdrop of the setting sun. 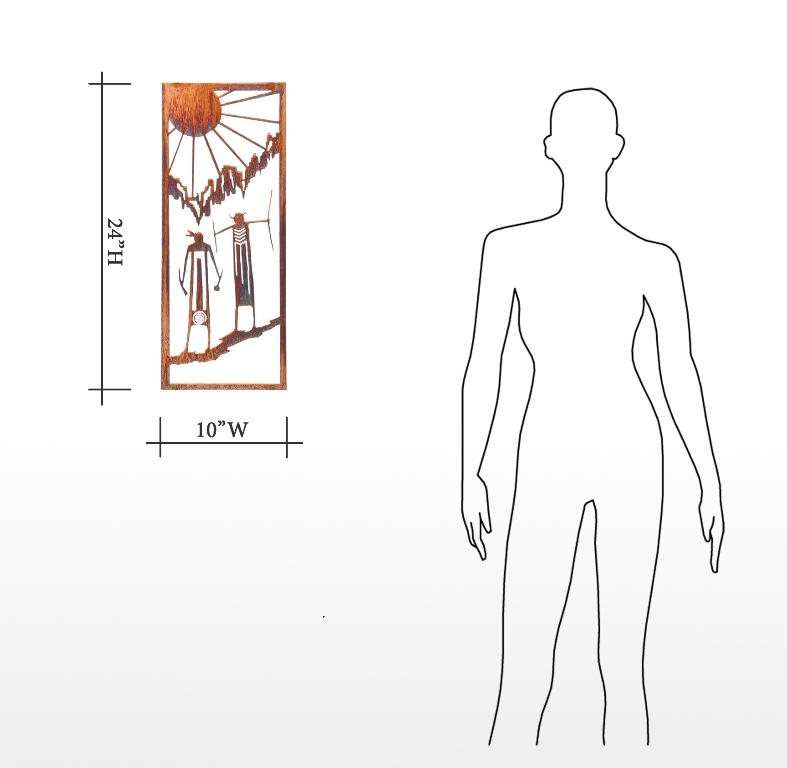 Hang this stylish piece wherever you wish to bring a flair of excitement and mystery to your space.